eLife has launched a new section to highlight leading research into the physics of living systems. We are pleased to announce the launch of Physics of Living Systems, a new subject area for eLife. The move to create this new section reflects the growing use of tools and methods from the physical sciences to shed light on biological systems and processes, and the increasing levels of collaboration between physicists and life scientists. The new section will publish studies in which experimental, theoretical, and computational approaches, rooted in the physical sciences, are developed and/or applied to provide deep insights into the collective properties and function of multicomponent biological systems and processes. Descriptions of methods that could enable the interrogation of classes of biological systems in new ways, as well as interdisciplinary studies that bring together scientists and approaches from the physical and life sciences, are also encouraged. 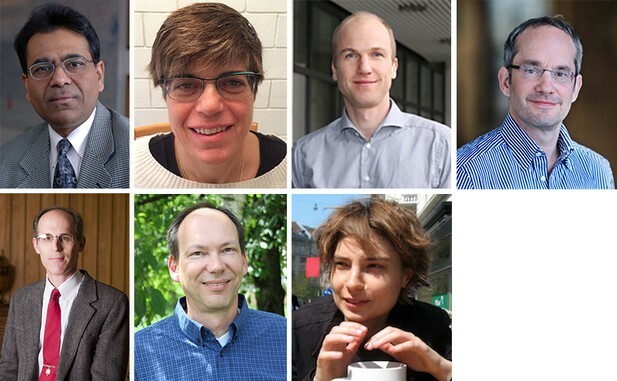 From top left: Arup Chakraborty, Naama Barkai, Richard Neher (image courtesy of University of Basel), Tony Hyman (image courtesy of Hyman Lab), Ray Goldstein (image courtesy of Churchill College Cambridge), Frank Jülicher (image courtesy of Max Planck Institute for the Physics of Complex Systems) and Aleksandra Walczak (image courtesy of Ecole Normale Superieure). Our goal is to make peer review constructive and collaborative, and to avoid unnecessary rounds of revision. All editorial decisions at eLife are taken by editors who are working scientists. Initial decisions are delivered quickly; and revision requests are consolidated following an open, internal consultation among reviewers. To help increase the accessibility of research and ensure that it is communicated as rapidly as possible, authors are encouraged to make use of preprint servers, such as arXiv and bioRxiv. To facilitate submission to eLife, researchers working in LaTeX can download and use our template or open it directly in Overleaf. Authors interested in submitting to the new Physics of Living Systems research section may learn more from the eLife Author Guide. We welcome the submission of Research Articles, Tools and Resources, and Short Reports. We welcome comments, questions and feedback. You can contact us at editorial [at] elifesciences [dot] org.